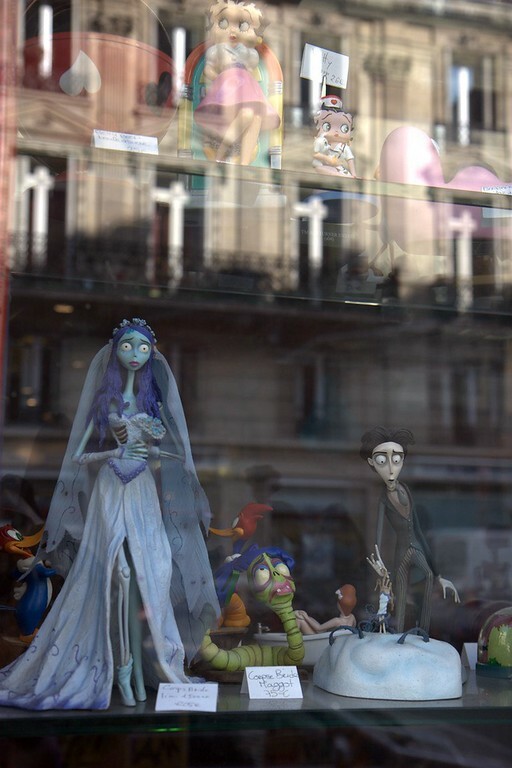 Figures from Tim Burton’s film The Corpse Bride, among others, on display in the window of Album 84 on boulevard Saint-Germain in Paris. Located here in the Latin Quarter since 1948, Album 84 is the oldest bookshop in France specializing in comics, better known as BD or bande dessinee. Screened by potted bamboo, a window table at Cafe Bonal on Boulevard Voltaire in Paris is absent its patron for an instant.